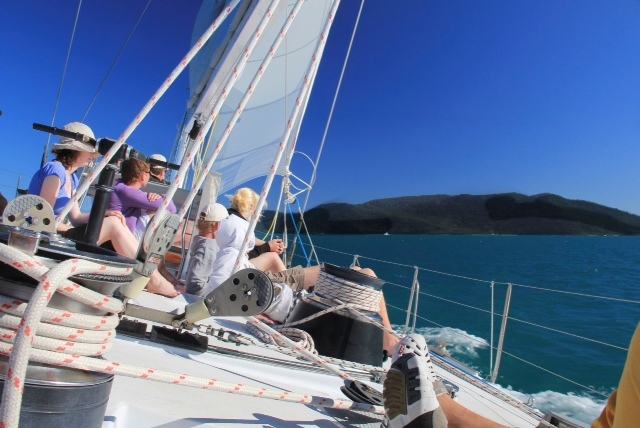 What a great day aboard the maxi yacht Ragamuffin at Airley Beach. Maxi Ragamuffin’s exceptional achievements include contesting eight Sydney to Hobart races, gaining line honors three times, and placing 2nd once and 3rd twice. Maxi Ragamuffin draws 14ft, has an 18ft beam and a 105ft mast. 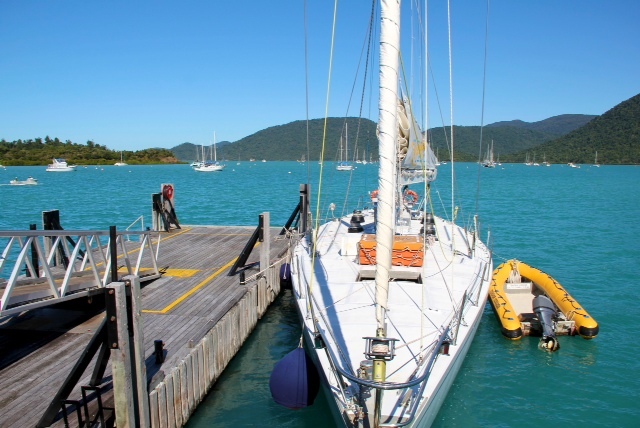 At 80ft, she is one of the Whitsundays largest and fastest Maxi Yachts. Her considerable size ensures that she is comfortable in any sea condition. Below decks, Maxi Ragamuffin has cushioned settees and is carpeted throughout. She is equipped with toilet facilities, galley, and refrigeration and has a 200hp auxiliary engine. I did the one day trip to Blue Pearl Bay with snorkeling and my second scuba dive (first time was in a swimming pool in Wales so doesn't really count). Nina, the dive master was a real treasure, she held my hand until I felt comfortable (which took longer than the 13 and 18 year olds who were diving with me). It was a great experience but I think snorkeling is just as enjoyable. 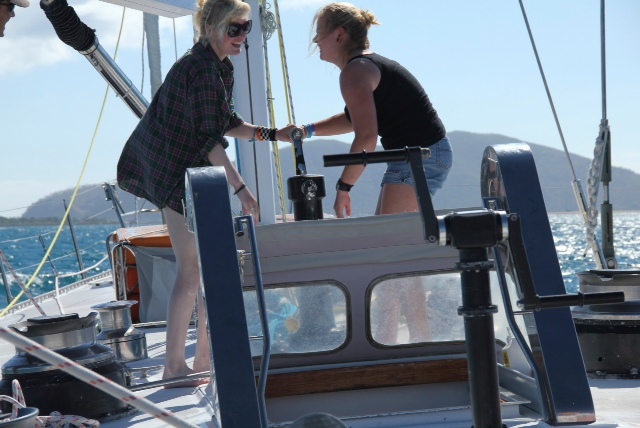 2 of the girls onboard raising the sails (not really - they use machines these days).